Can I export my data from LSP.expert? Yes, you can export your data from LSP.expert. For that, you have to go in Settings > Import/export. 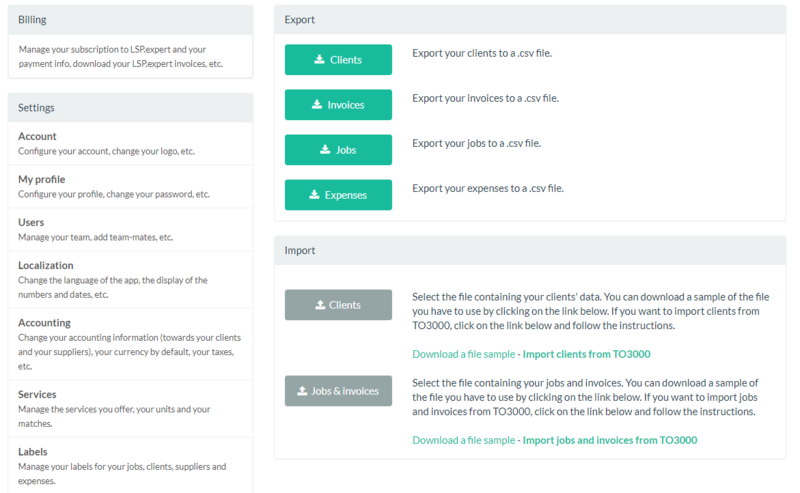 You can export your list of clients, invoices, jobs and expenses. Your data will be exported in a .csv file.